Warning tapes are designed to alert excavators that buried utility lines are present so the lines aren’t disturbed. 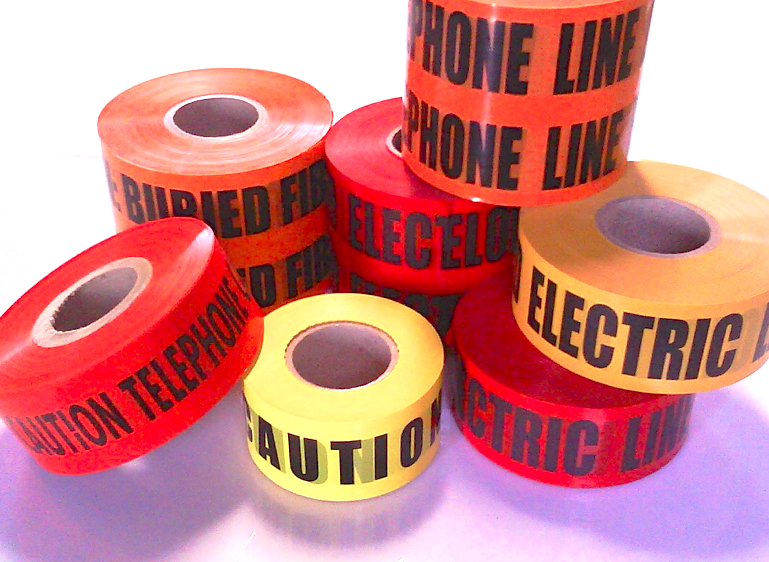 Our warning tape comes in non-detectable polyethylene styles or metallic tape that can be located with a metal detector. Diffuser Specialist Premium Stretch Tape is woven reinforced for non-stretch, non-distorting, high-strength plow able needs. Our detectable tape is 5mm thick and features a buried print style which cannot be scraped off or erased. Our non-detectable tape is 4mm thick and contains no heavy metals or chromates and will not oxidize upon exposure to moist soil.